PM: Can you talk briefly about your background and experience? AS: Sure! I studied Musicology at the University of Bologna, in Italy. In 2002 I “met” Max, and started using it as an autodidact. In 2005 I moved to Paris, at the University Paris 8, where I earned a MASTER in Art Technologies, then I started a Ph.D. on the interaction of audio and video. I took the classes of Prof. Vaggione, a pioneer in sound granulation and time micro-articulation. Since then, granulation is one of my favorite sound processing technics! At the same time, I was also working at the CNRS (French National Research Center), in a project focused on developing new tools to handle digital media for the theater. In 2009 my wife and I decided to quit the big city, and to move to a small village on the Alps. This environment deeply changed my perspective on life: I discovered that I love to live in the woods, a bit isolated, and free from rigid office hours. After some non-music office work, I realized that I should get back to what I love the most: computer music programming. The place where I live does not offer this kind of job, so I decided to start something on my own; that’s how I came to found K-Devices. It was an experiment… and as a matter of fact, it worked! PM: Do you work independently or are others involved? AS: Sometimes I work alone, sometimes with external collaborators. 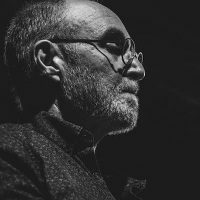 Simone Fabbri, the guy from Frap Tools (the brilliant Eurorack brand), worked on multiple projects with me. He is an important part of K-Devices. PM: Your devices come with extensive documentation and detailed manuals. How much effort goes into creating the documentation, website design, and other non-programming tasks? AS: Documentation is really important! We do our best to give our users all the stuff they may need in order to feel comfortable with our products. The website style is part of the brand identity. Developing is our main task, but of course, we care about everything that surrounds the product as well. PM: Can talk a bit about your own music? Do your needs as a composer influence the nature and functionality of the software you develop? AS: My music is a long story! I have been a guitarist, then a computer guy, now I’m a computer guy with a guitar! I played a lot of heavy guitars in black and doom metal bands back in the Nineties… Then I went through what I’d call a phase of “IDM curiosity”: with Max I developed a lot of tools to create odd rhythms and strange sound processes for my personal use. I started to go deeper into the software, and I found that I could actually create my own tools… It was such an exciting discovery! This was around 2003-2005. Part of the patches created during this period became later K-Devices products. During my Paris years, I got involved with the interaction of audio and video, and with sound granulation. 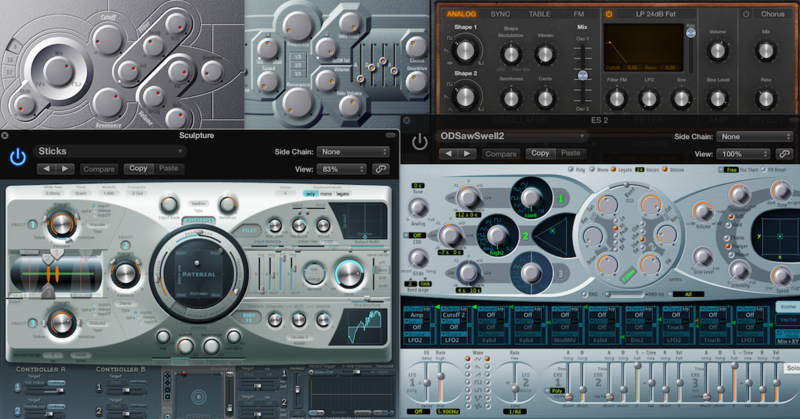 I have to say that back then while creating patches so intensively, I wasn’t really able to compose music … I was a bit lost, I think I was faster on conceiving and designing instruments, and getting mind-blown by the results, than I was able to integrate these tools in my workflow. Finally, recently, I found my way, and I am pleased to announce that my first release in a long time will be available this November 21 on Elli Records, the label focused on computer music that I founded with producer (and friend!) Emanuele Battisti. I am really excited about this EP! After years, I finally found my sound, something that represents me, and I’m really curious to see how people will react to it. Here’s a video teaser. PM: On the K-Devices website, there seems to be three pillars of design mentioned: Light CPU Usage, Smart User Interfaces, and Ease of Use. Are these ideas at the core of your programming philosophy? Can you explain what you mean by Smart User Interfaces? AS: Absolutely! These three elements are our guides: devices could be used in big projects, so they can be cool, but they also have to be CPU friendly, this is a big part of our work as developers. We work to design UIs as simple as we can, according to specific features of each device. This results in interfaces that are very easy to understand, like our Modulators, or like Holder. Other times, since we like to give the users multiple choices, things can become a bit more complex. Alter Echo and TERRA are “deep” devices; in this case, we worked to create a UI that, in our intention, has a strong logic coherence. PM: Your catalog of Max for Lives devices is impressive and continues to expand. Can you talk about some of your favorites and the motivation behind creating them? 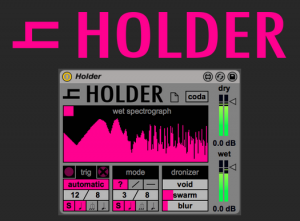 AS: As a user, I always use Holder, because it is pure magic to create drones and textures (I mainly feed it with my Gibson), and a lot of EXT instances; I’m also extensively using our newer modulator, an incredible tool, called Twistor. Kflux too, but in a customized version, that I continuously modify (I think a v2 will arrive sometime in 2018!). AutoBeat also is really cool for percussive parts and speaking of percussion, I have to say that I am also a big fan of moovmi, our free video-based patterns generator. I use a lot of K-Devices stuff indeed! 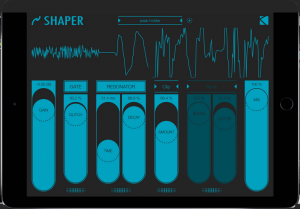 I think this came from the fact that I have always written my tools: these devices are often answers to my needs as a composer, or they come from Simone’s ideas, like REF or Shaper, a waveshaper that was originally part of an abandoned synthesizer project, that also became our first iOS app. Some other devices, like Alter Echo, a delay effect, or Herse, are our answer to the question “what should be your interpretation of this category of tools?”. PM: You have a new entry to the iOS work called Shaper. Do you expect to offer more apps in the future? 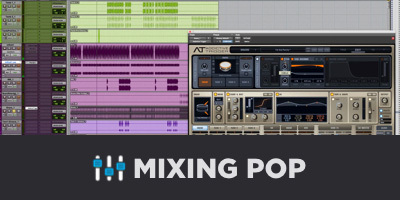 Do you have any general comments regarding iOS music production? AS: iOS is becoming a solid workflow for musicians: the Audio Unit extension, and cool DAW-like apps allow users to chain multiple apps. Inter-app too was a big step, but AUv3 is a game-changer: now it is possible to create real projects on iOS. In the first phase, our plan is to be part of this environment with a series of effects that offer quality and versatility: we want to fit workflows of a wide range of iOS musicians. 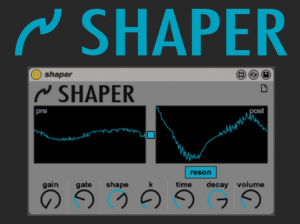 Shaper, for example, can be really harsh, this is its main goal, and it does it well, but it also offers modules that can be more subtle, with the possibility to change their order; this is what we mean by “versatility”. PM: What will be the ramifications of the recent purchase of Cycling 74 by Ableton Live? AS: I cannot say for sure, but I imagine a significant improvement in the Max For Live platform. Something big is already happening with the announcement of Live 10 and Max 8. That’s good news for both developers and Live users! PM: What are the pros and cons of working as an independent developer vs for a larger company? PM: Do you have any new products coming out you’d like to announce? AS: Absolutely! 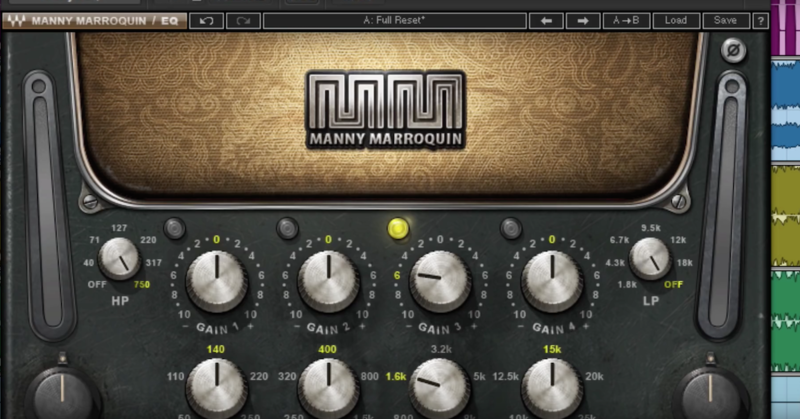 After one year of development, we recently released a new series of Max For Live devices: OOG Tools. 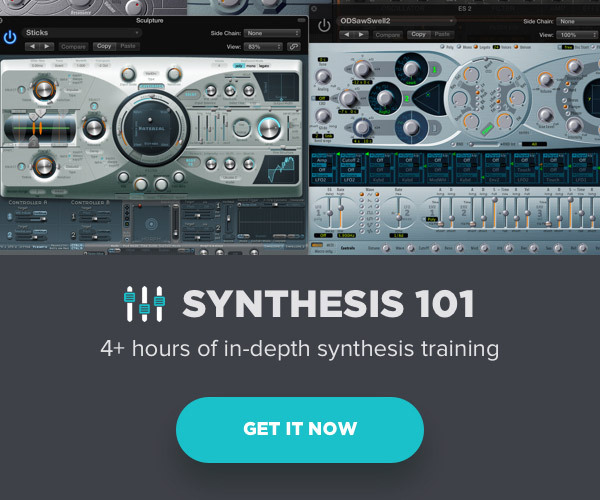 These are phase-driven sequencing tools designed to create, edit, and manipulate sequences with a different approach, and really unique features. First two of this series, MOOR and Twistor, are a mono sequencer and a modulator, and offer methods to handle time never seen before in a DAW! 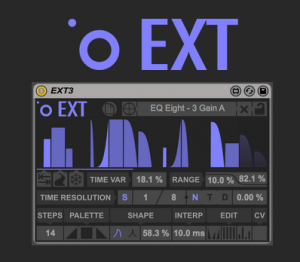 I’m really excited about this project, these are great devices for going wild with time, for IDM and experimental music, but they are also really versatile and subtle, so they fit in perfectly with the workflow of users looking for straight 4/4 catchy bass lines and modulations! For more details visit K-Devices. The offerings by K-Devices are sure to take you places you weren’t expecting. Written with the mind of a programmer and conceived from the perspective of an artist, these devices are full of surprises.